Akron General, which was added to the Cleveland Clinic system in 2015, has been "immensely" busy, Clinic CEO Dr. Tom Mihaljevic said. Though Cleveland Clinic has been making major plays in Florida, London and China, president and CEO Dr. Tom Mihaljevic said he's focused on growth in Northeast Ohio. Eight months into the job, Mihaljevic has settled into his new role and is looking forward, working on a new five-year strategy and focusing on how he can increase access for patients in the region. "Our primary commitment has been and always will be here in Ohio," Mihaljevic said. "So we're allocating the vast majority of our time and resources for maintenance and improvement of the care that we provide for residents of our home state, and in particular obviously the Cleveland area (and its) immediate surroundings. This is who we are. This is where we've come from. This is where we'll stay. And we believe that there is a lot of opportunities for future growth in our home state." Earlier this year, Union Hospital in Dover formally became a full member of the Clinic, a significant stretch to the south for the health system. After adding Akron General to the system in 2015, going farther south was a "logical" step for the Clinic's network. 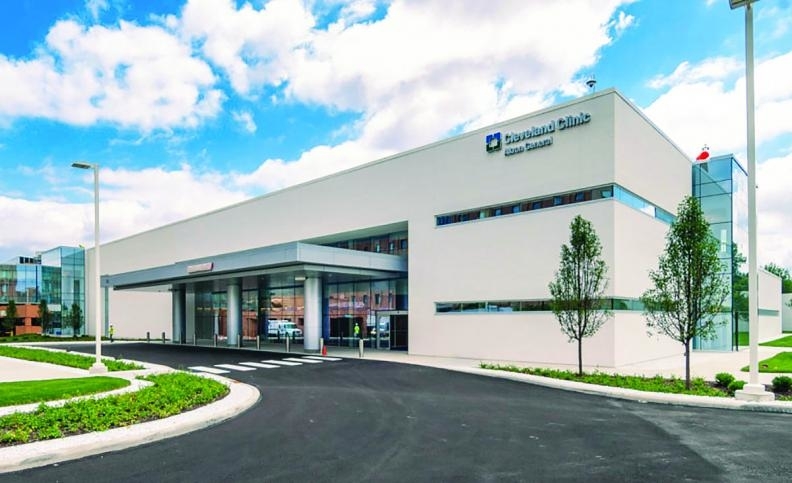 While contiguous geographical moves make a lot of sense for the Clinic's expansion of its network of hospitals, it is currently focused primarily in Northeast Ohio, where Mihaljevic said he sees a number of different opportunities. "We are blessed by the fact that we have a huge demand for Cleveland Clinic services, and we're looking to improve access for our patients to come to Cleveland Clinic for care," he said. The system is looking at optimally leveraging its capacity, or balancing at-capacity hospitals in the region with less busy facilities. Akron General has been "immensely" busy and Mihaljevic said he believes the Clinic has a large opportunity to grow in Akron. Optimizing capacity across the system's facilities could improve access, which Clinic spokeswoman Eileen Sheil said the system is focusing on in response to its second-quarter financial report, which was posted after Crain's sat down with Mihaljevic. For the three-month period ending June 30, 2018, the Clinic posted an operating income of $25.1 million, down more than 80% from the like period last year, in which the Clinic reported $130.5 million in operating income. Though net patient service revenue increased year over year for that period, expenses in virtually every category — including salaries, wages and benefits, supplies, pharmaceuticals, facilities and more — also grew. Sheil said the patient numbers were "softer" than expected, and in part attributes this to access issues with certain hospitals operating at capacity and therefore creating wait times for access. For instance, main campus has been at 100% capacity, she said. She also noted that in 2017, the Clinic had a "favorable recorded item that was unique to that year," but said she was not at liberty to disclose what it was. Mihaljevic is working on a new five-year strategy he expects to roll out early next year that will focus on four key dimensions: care of patients, care of the caregivers, care of the organization and care of the community. The plan will look at how the Clinic organizes internally, how it can be the best place to work in healthcare, how it can leverage new expertise to create new technologies, tools and cures for various diseases, and how it can continue to provide safer, more accessible and more affordable care. "All of that combined with the primary effort to serve our community and our patients in the best way possible," he said. While Northeast Ohio remains the focus for Mihaljevic, the Clinic this year has been making some major plays outside of the region. In Florida, the Clinic has seen a huge demand for its services. Its facility in Weston works at 120% capacity, Mihaljevic said, so the Clinic is about to open an extension of that facility. Building upon the "resounding success" in Florida, the Clinic is now pursuing a network strategy in the state. The Clinic is in talks with both Indian River Medical Center and Martin Health System to bring them into the system. "We believe that by having those two hospitals become members of the Cleveland Clinic system that we're going to have an ability to provide a much more coordinated, comprehensive care of residents in Florida," he said. In China, the Clinic's presence will be "comparatively speaking, very small," Mihaljevic said. The "limited consulting engagement" is an opportunity for the Clinic to reach into China with Cleveland Clinic Connected, an international program that aims to improve patient care delivery in the United States and around the world by enabling other healthcare providers to access the Clinic's best practices. He said it is "very unlikely" that relationship will grow larger in the near future. Rather, the Clinic is "very much focused domestically" in Cleveland and Florida, as well as on Cleveland Clinic London, a project slated to open in 2021. "So we are looking to build, to bring those three areas to the position we think that they need to be in four or five years before we would venture into anything else," he said. The Clinic is also considering growing its partnership with Oscar Health, through which the two offered a co-branded insurance product to consumers in five counties last year. Mihaljevic said they would like to expand to other counties with the insurance product and its digital platform. "I believe there is an opportunity for us to expand," he said. "The digital technology is certainly going to have — is having — a transformative effect on healthcare, and I believe that that influence is only going to intensify going forward." Also coming up is the Clinic's Health Education Campus, where first-year students will be able to start next fall. "We always strive to get better at everything we do, and that never ever ends," Mihaljevic said. "Oftentimes people in the world ask me, 'So what makes Cleveland Clinic different than many other places?' And I say that is the fact that we have to wake up every single day, every single morning, and think about what am I going to do today to make Cleveland Clinic even more special and better at what we do so we can continue to attract people from all over the world to jump into the plane and fly to Cleveland, Ohio, for their healthcare. That is deep into our DNA. So we're never quite there." "Clinic's 'primary' focus is its home base" originally appeared in Crain's Cleveland Business.